When you are ready is the obvious answer to a question with many variables. Unlike years past, when cottage country real estate had a specific cycle of early spring listings, the cottage country real estate market is now a 12-month dynamic cycle. Yes, the market still has certain ebbs and flows when properties hit the market (usually spring and fall—sellers tend to want to enjoy one last summer), but as a buyer, you just never know what motivates certain sellers. Therefore, once you decide that you want to buy, you should have your checklist and finances in order. A common thought is that you may get a better deal during off peak months (late fall, winter)—and you just might do so, but the risk is the features or drawbacks of a property may not be evident in the off season. if your waterfront is clogged with weeds making swimming and splashing for youngsters a challenge? Listings that fulfill all of your wishes may rarely hit the market or take longer to find, so our advice is to be ready. Most sellers want to get the most money possible out of their property. And if that’s all you are looking for, then it’s a simple model of economics—buy low, sell high. Cottage country is currently seeing a shortage of waterfront inventory and higher sale prices, but without a crystal ball, we can’t say for certain how long this trend will last. We can say this—cottage properties in general, but especially four-season waterfront homes, will always be in relative high demand given the population growth in the GTA and the trend of using the equity in city properties to finance a country lifestyle. Spring has typically been a hot time for buyers, but the fall is also becoming busy with buyers planning ahead to future use. I’ve heard about Riparian Rights - what are they and how do they affect me? If you are lucky enough to own Private, Direct Waterfront property, you enjoy the benefits of Riparian Rights. The rights of the owner of lands on the banks of watercourses, to take advantageous use of the water on, under or adjacent to this land, including the right to acquire accretions, wharf slips and fish therefrom. This means you can access the water from your own land, and take water without interrupting the same rights of riparian neighbours. You can erect a dock, boat house, fire pit, hammock all on the water’s edge—so long as you meet the requirements of the local government bodies (which can include conservation authorities, and federal, provincial, and municipal governments). What is deeded waterfront access? You may be allowed access to the water through a right-of-way or you may be allowed access through a designated path leading to the water. There is generally an association which manages how the waterfront is used. The access to the water is owned by the association and certain rules apply depending on the association. For example, the association rules my stipulate that you have a slip for docking a boat, and while your access may allow you day use to have a picnic, you may not be allowed to pitch a tent on the waterfront and spend the night. usually granted for a special purpose rather than for the general use and occupation of the land. An easement is an interest that runs with the land. Easements are attached to the land and binds subsequent owners. then you have the right to the use the designated strip of land on the easement to access the water. You do not own the waterfront, but the easement on title allows you access to the water. What is Public Waterfront Access? If you have own a property close to waterfront but without deeded access, you may have the option to get to the water through a public access. The access may be owned by any number of government jurisdictions—municipal, provincial or federal. Your rights are certainly limited but this arrangement may allow you to swim, fish, launch a kayak, have a picnic or simply enjoy the view. If you choose this option for property ownership, you will want to establish how far away the access is from your property and if it offers parking or perhaps it is a short walk away. The answer to this question goes back in time to the 1850s. The initial laying out of the road system in Ontario includes the establishment of shore road allowances (SRA) which were 66 feet in width from the high water mark of navigable rivers and shores of lakes. Such roads were rarely opened, but were intended for commercial pursuits and public passage (loggers, miners, etc). The fact that they have never been opened does not affect their legal status or the right of the public to use them. Many cottage listings come with the words "SRA —not owned”—this means all land up to 66 feet from the water’s edge is not owned on title by the property owner, but by the municipality. As such, you cannot build a boathouse on that strip of land, or anything with a permanent foundation —you don’t technically own it. Can you install a seasonal dock or a moveable shed? Technically, no, because the land is owned by the municipality. But that rarely stops most cottage owners. Furthermore, no one can cross your property to access the SRA. Can you go purchase the land from the municipality? You can apply to do so, but all costs (including legal, survey, administration and purchase price) regarding the acquisition of the SRA will be borne by the applicant. Our advice—let sleeping dogs lie and enjoy your waterfront. Leave the SRA as is, be aware that it exists and avoid building any permanent structures on it. We are thinking of purchasing a cottage with two or more family members. What is the upside? Downside? The immediate upside, of course, is the cost factor—depending on the overall budget, this type of relationship offers a family the opportunity to get into the cottage market at a more affordable price. Ongoing costs for taxes, maintenance and utilities can also be shared, lessening the burden on each individual. The general maintenance and workload required can be shared amongst the family members (mowing lawn, general repairs, regular upkeep). Shared family cottage ownership can also lead to more quality family time. As ideal as this situation sounds, you should beware of the potential downsides of shared ownership. What happens if one of the members doesn’t or can’t make significant contributions for major repairs—i.e. new roof? How will you determine the use of time? Will you split the time like a timeshare or will you all be there at the same time? And what about inviting friends? Who will be responsible for the regular upkeep and what happens when one family member does not or cannot pull their weight? 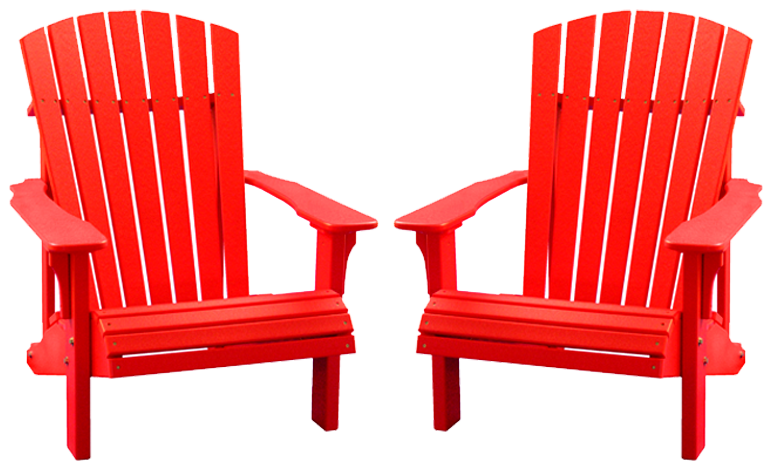 Your cottage needs painting—you like red, your family cottage partners like blue—who gets to choose? Do you have a plan for survivorship? Shared family cottage ownership has the potential to cause long-lasting family rifts. You will need a solid agreement in place and we strongly recommend seeking legal advice before entertaining the thought of purchasing a cottage property with friends or family. Can I get reliable high speed internet at the cottage? Well of course you can do all of the above, but hi-speed Internet access is a nice option to have, especially if you are able to telecommute (in my media sales days with the Toronto Sun, there was nothing like closing a deal from the dock). Fortunately, internet access has come a long way in the past few years as internet providers are now realizing that there is a vast rural market to be tapped into. Typical plans have relied on tower transmission, but access to these towers can be limited due to distance or tree cover. To overcome these obstacles, providers are investing in satellite options for more remote customers. Each cottage property will offer a unique set of challenges (tree canopy, site lines, distance to towers, etc) so the best course of action is to contact a local internet provider (A short list is provided below). They will gladly come to your property and perform a site analysis to give you various options. The good news is, as technology improves and prices come down, hi-speed options continue to grow each year. I can’t find the cottage of my dreams how do I go about building on a vacant piece of land? Vacant land on the waterfront of your dreams is not always available. And if it is, it may not be zoned for your needs. (i.e. : you may not be able to build a home on the land, or there may be very restrictive requirements that make it difficult to build on the land). It is not impossible to do, but financing to purchase vacant land is tough to get. Be prepared for a tougher financial means tests and likely higher interest rates. In some extreme cases, you may have to pay cash for the land. Reputable builders are in high demand. Many book major projects well over a year in advance. Which means, you may be able to purchase your land this year, but it could take two to three years before you are finally finished with construction and able to enjoy your cottage. As of the Spring 2017 season, building costs are approximately $325 per square foot. For a 1,000 square foot cottage be prepared to spend over $325,000 for the building alone.